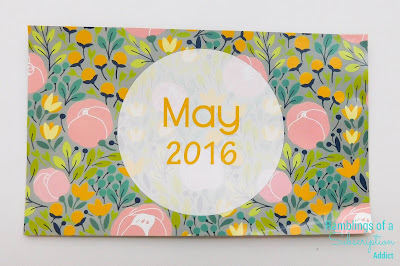 Lip Monthly - May 2016 + Coupon Code! This month's bag barely got here in time for May. I'm not sure if there was a hold-up, but I was still very excited to see my bag in the mailbox! 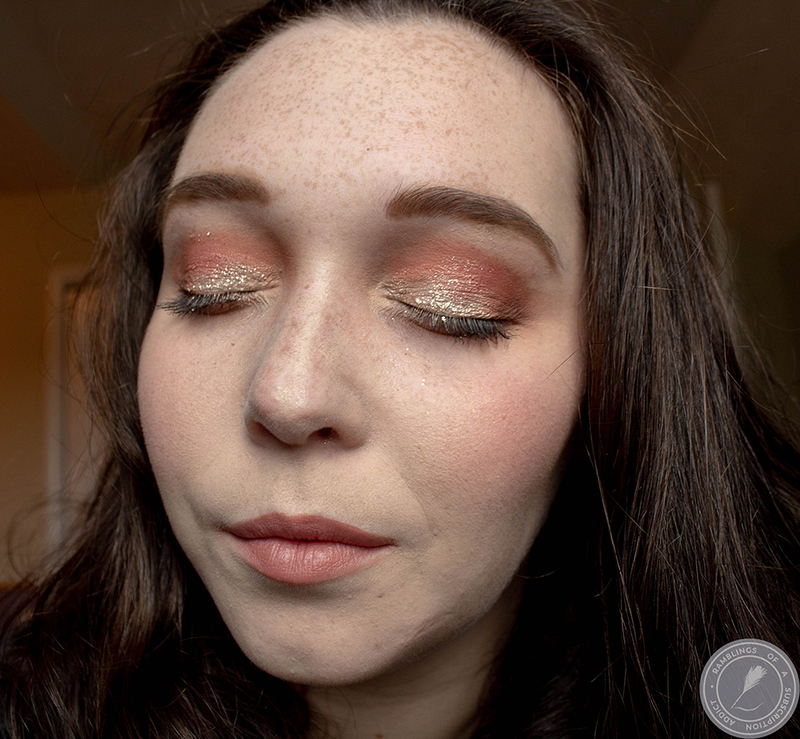 Swatches are near the end of this post! I am loving the tulips on this bag. The pattern is so simple and definitely very much May! The flowers continued on the info card. 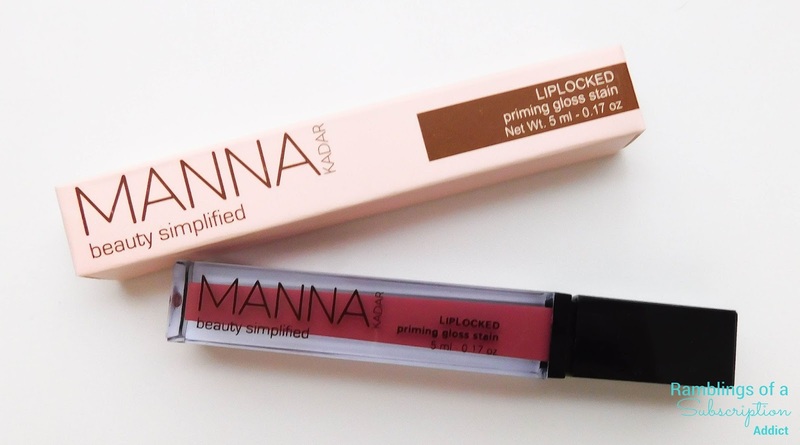 Manna Kadar Lip Locked Stain (All of Me) ($24.00) After just receiving this in my LaRitzy box this month, I've come to the conclusion that Manna Kadar has too many of these to handle and they're going to be coming in everything. I really like this lip gloss, but I don't like seeing it in multiple subscriptions in the same month. 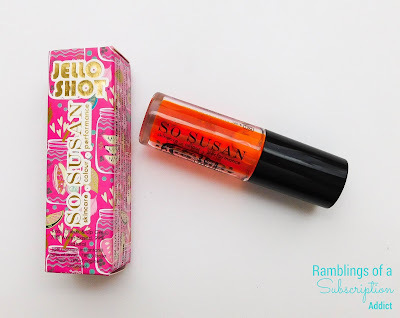 So Susan Jello Shot ($24.95) - I really love this lip/cheek tint. 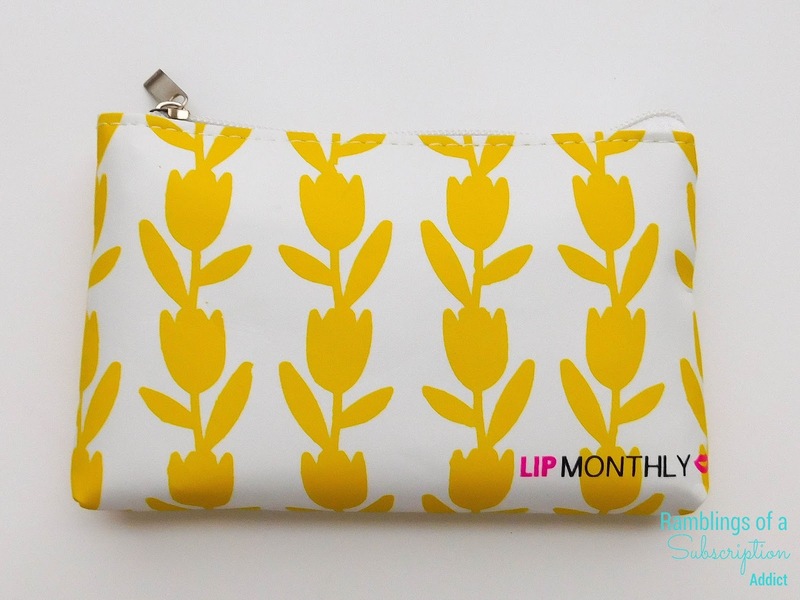 It comes from So Susan, which is the maker of the Lip Love bag that I receive each month. This looks orange when you first apply it but don't be scared! Give it a few seconds and it turns into a shade of pink that is based on your body temperature! Even after I wiped off the excess, it kept my swatch spot an amazing shade of pink until the next day (when I finally removed it with a makeup removing cloth). 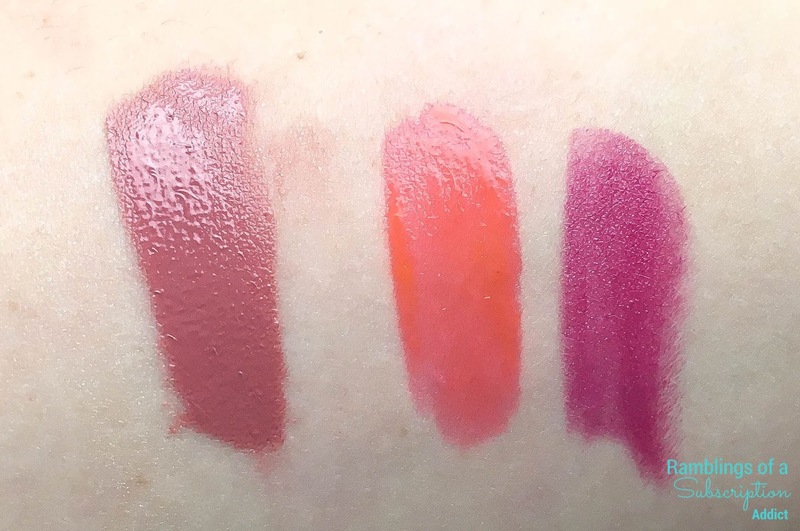 It is definitely a gel stain that's perfect for lips and cheeks! 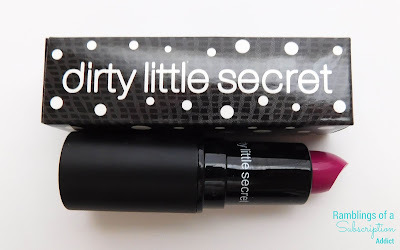 Dirty Little Secret Lipstick (Vengence) ($10.00) - My swatch is a little bit more on the purple side than what's on the website, so I'm not sure if the formula might be a little different now. It's very smooth going on but it did come off quite easily, so it seems to be a lipstick that you would need to carry with you for reapplication. 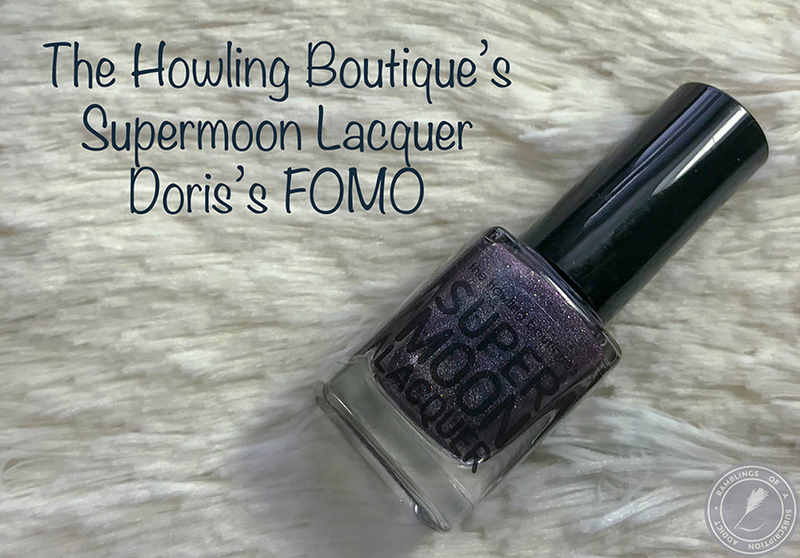 It's a gorgeous berry shade, too dark for me right now but it will definitely be worn going into fall! 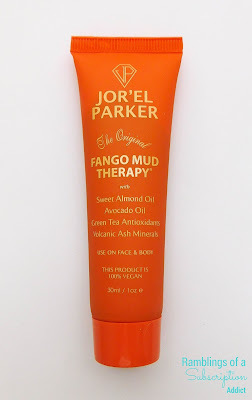 Jor'el Parker Fango Mud Therapy ($3.86) - 'Mud' is the perfect name for this. It's a mask-like product but it can be used on your face or on your body. It dries quickly, tingling while doing so, and soaks deep into your pores. Instructions say to leave for 5 minutes and then wash off, which you can definitely do comfortably without being uncomfortable (as some masks can do). I like having a sample size to try out the product and surprisingly really love the scent of it! 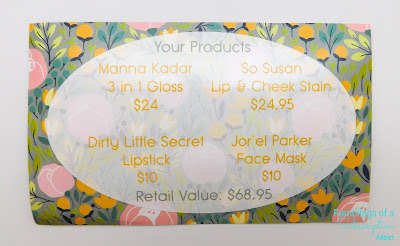 Swatches: Manna Kadar, Jello Shot, Dirty Little Secret. The value on this bag is $62.81, which makes it definitely worth the $12.95 cost. 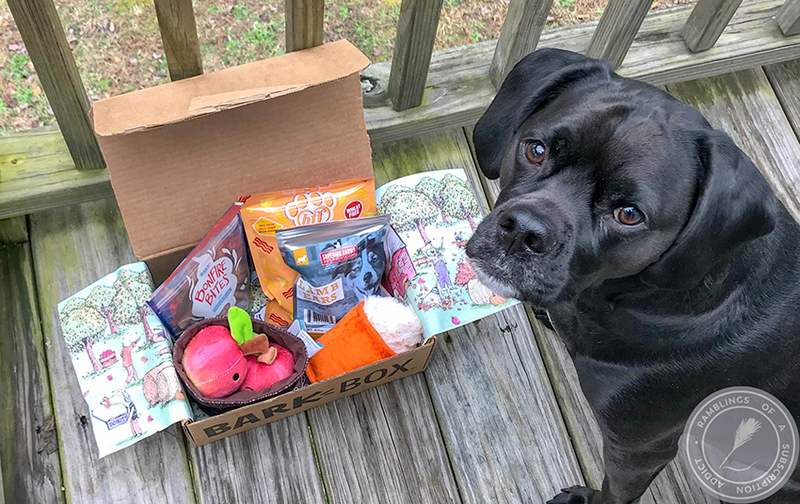 I liked all of the products and will find use in all of them (one of my Manna Kadars will go to my mother), which is the point of these bags! Make sure to use one of the discounts above if you decide to sign up for the June bag!